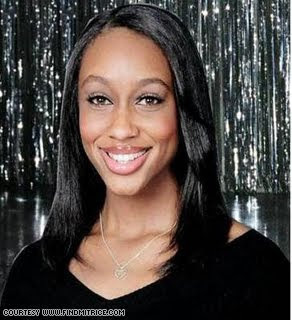 Unfortunately the search is over for the Los Angelas lesbian, Mitrice Richardson, who has been missing for over a year. Mitrice made national headlines last year following her controversial release from the LAPD. Many have accused L.A. County of negligence because they released Richardson at night, without a cell phone and without a car. Mitrice has a history of mental illness and has suffered from bipolar disorder for several years. Some individuals that saw her on the evening of her arrest stated that she was not in a condition to drive and spoke about dazed and confused she was at the time of her arrest. She was arrested for not being able to pay for an $89 meal. My heart goes out to the family and friends of Mitrice. I was praying for a happy ending to this story. Mitrice Richardson was smart, beautiful and well-loved and the LGBT community, African-American community, and city of L.A. have lost a terrific spirit. Rest In Peace Ms. Richardson.